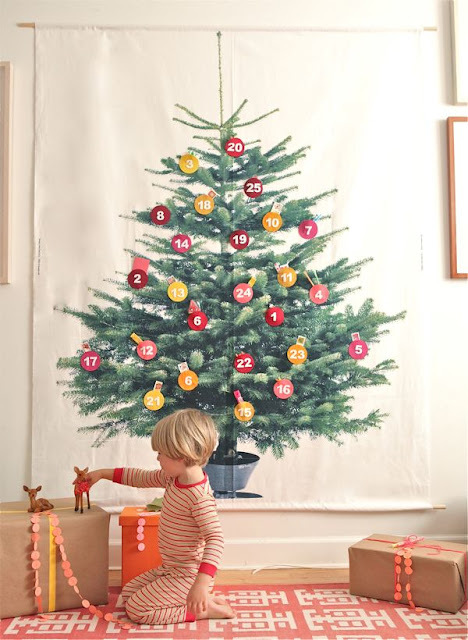 Chiara discovered this fun Christmas tree fabric at Ikea and transformed it into a giant advent calendar for her home. It is also a great way to decorate a large space in your house for Christmas as well. I will be heading to Ikea immediately to see if I can pick one up. You can check out how she transformed the Christmas tree fabric into a giant Christmas advent calendar over at Oh Happy Day. Just checked the Ikea website - This fabric is only $6.99! I can't wait to get my hands on some!